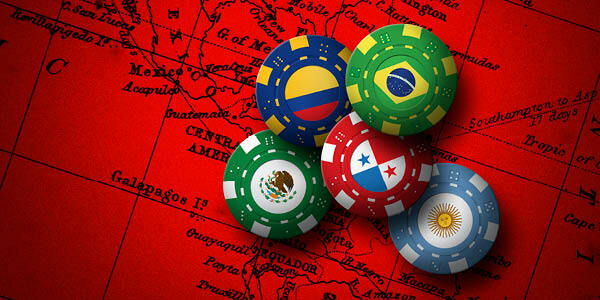 Multinational corporations are gambling on the Latin American market's growth potential. But when it comes to meeting the region's supply chain challenges, all bets are off. "Latin America has transformed itself into a set of fast-growing, emerging economies," says Jose Fernando Nava, president, Latin America, for DHL Supply Chain. "Many countries have developed sound economic policies, with good reserves. The level of public debt is lower compared to other economies. Commodity exports have risen for the past several years, and internal consumption is flourishing." Consumer credit, which was largely absent 15 years ago, is becoming more available in the larger countries—fueling economic activity. "Home loans, which we have always taken for granted in the United States, were non-existent in Latin America 20 years ago," says Nava. "Today, credit is present in many forms—for car, construction, and home loans, as well as credit cards." These developments have created internal demand, which has attracted new investment by many global players in industries such as consumer goods, high-tech, and electronics. The region also is benefiting from a recent shift in global manufacturing strategy for large multinational corporations. With ocean trade a critical lynchpin of Latin America's future prosperity, what does the near-term capacity and rate picture look like? To find out, Inbound Logistics spoke with Mike Wilson, senior vice president, business operations, for Hamburg Süd North America, one of the major liner companies servicing the Latin America trades. "The container trades in Latin America will likely experience what the liner industry calls the 'cascading effect'—big ships displacing small ships," Wilson notes. While this effect may mean lower rates in the short term, it raises real concerns for the long-term health of containership companies and, thus, the future of capacity. "Between 2005 and 2009, global liner capacity grew ahead of cargo growth," Wilson explains. "In 2011-2012, cargo capacity and growth nearly equalized, but excess capacity continued to build as new ships entered the ordering, construction, and delivery pipeline. As these new ships come online in the next few years, ship supply will outstrip demand, based on anticipated cargo levels worldwide. "Supply/demand equalization could take place by 2018, if no new ships are added," he continues. "Unfortunately, this is not likely to be the case, as economics (fuel, capital) will drive the trend toward newer and bigger ships with a lower capital and operational cost per slot." "Cascading, however, only works to the point of saturation in the receiving trade," he continues. "Cascading is happening in the Latin American trades today, as well as in other areas of the world. This has a negative effect on rates, and subsequently on carrier balance sheets. This may be good for shippers in the short term, but eventually, unless volumes increase, carriers will decide to tie up vessels—take them out of service and wait." Rates will improve at that point, as capacity and volume find more equilibrium. This could create service issues in high-growth trades such as Brazil and other Latin American economies. "As volume in these trade lanes continues to grow, and capacity in other trades is in excess, the 'cascading' of vessels into these trades is a likely outcome," asserts Wilson.